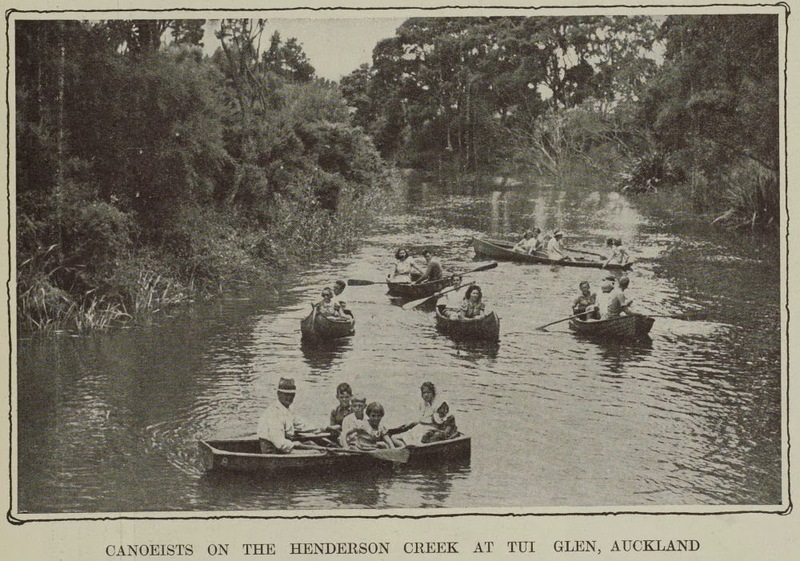 Tui Glen, a 7 acre scenic spot in Henderson by the Oratia Stream, was landscaped and planted by the Brookes for their family summer holidays. 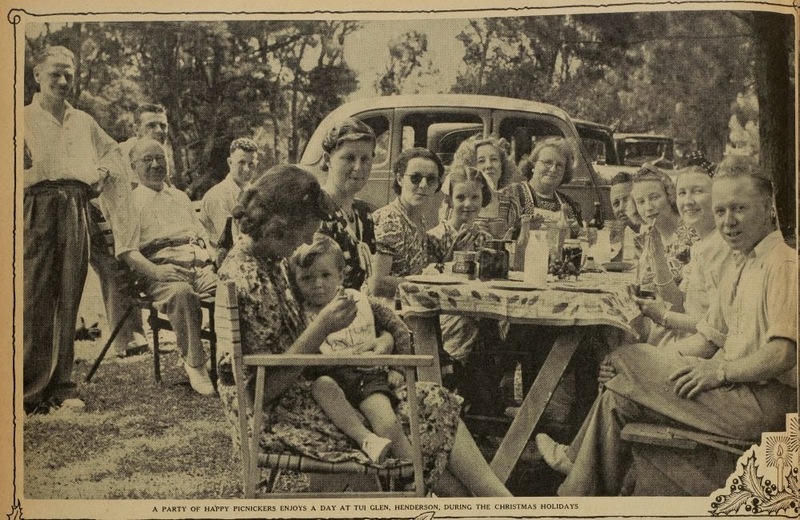 Given its close distance to Auckland, the Brookes quickly realised that Tui Glen would be an attractive destination for picnickers and campers. 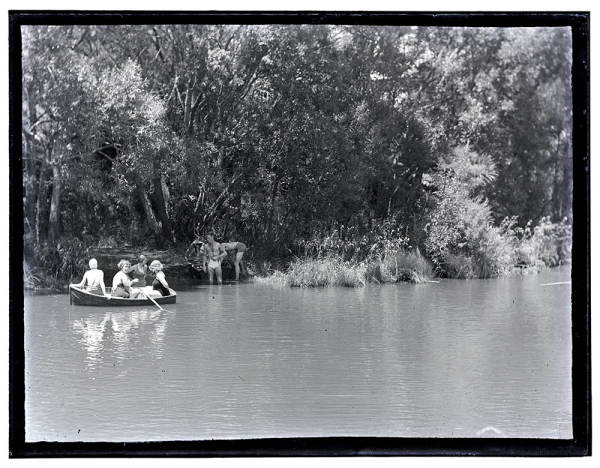 Tui Glen was NZ's first registered motor camp. 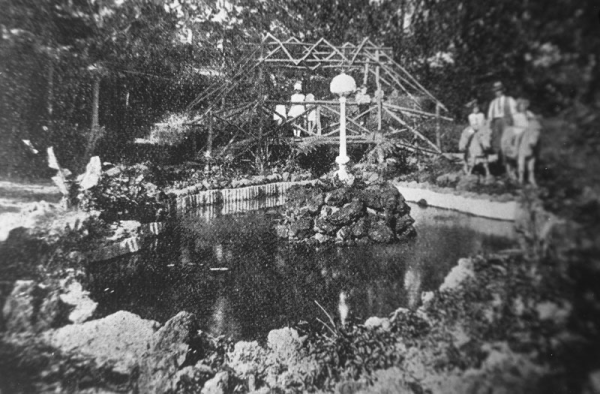 When it opened in the 1920s, only guests who had come by car or motorbike could be accommodated. The camp ground had modified ships cabins, which people could rent. This how the term 'cabins', which is used to refer to holiday park accommodation, supposedly came about. Other cottages were built during the 1920s to 1960s. 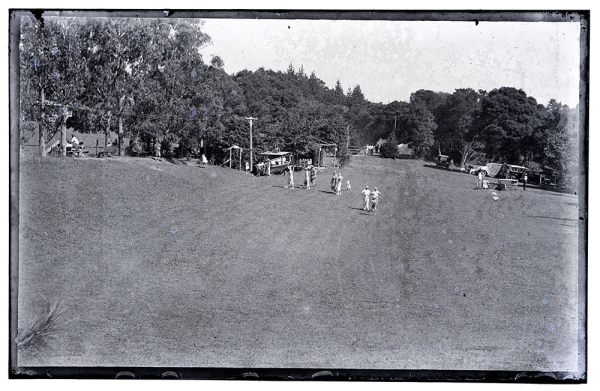 As well as being a camp ground and a great spot for a picnic, Tui Glen was also an amusement park. On offer was swimming, boating, various other sports, a playground, donkey rides, shared games and dances. It was popular with family day trippers and campers until encroaching urbanisation and changes in leisure trends led to the site's decline. It was closed in 2002. Henderson-Massey Local Board has been working to get the remaining 9 historic cabins repaired and restored. In 2011, they spent a total of $24,000 on this work. Browse through the resources at Auckland Libraries.